At least that is what the warming lobby would like us to believe but the facts as usual are different. 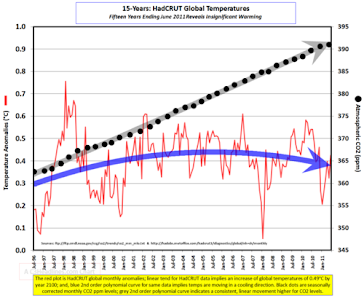 The untampered satellite record shows only a miniscule change in temperature over 35 years. It seems that the only hot air we will have to worry about is from the increasingly shrill AGW lobby with their snouts in a trough of taxpayer's money. More Malthusian nonsense from the true believers as now apparently IVF babies are a climate change threat according to a professor from Massachusetts , Cristina Ricci . Scientists have called for a blanket ban on free fertility treatment for those making "lifestyle" reproductive choices, such as sterilization reversal or single motherhood for fertile women. This has made professor Cristina Richie of Boston College, Massachusetts, say that only those who are medically infertile through no fault of their own should be eligible for government funded treatment. She singles out fertility treatments (assisted reproductive technologies, or ART for short) because they not only produce a carbon footprint as a result of the resource they consume, but also create a carbon legacy. And she points out "Assisted reproductive technologies are typically given in places with enormously large carbon footprints". Arctic ice is definitely not behaving according to the doomsday script of climate"scientists" with arctic ice at the highest level for this day in a decade. "Our projection of 2013 for the removal of ice in summer is not accounting for the last two minima, in 2005 and 2007," the researcher from the Naval Postgraduate School, Monterey, California, explained to the BBC. "So given that fact, you can argue that may be our projection of 2013 is already too conservative." "Given the estimated trend and the volume estimate for October–November of 2007 at less than 9,000 km3, one can project that at this rate it would take only 9 more years or until 2016 ± 3 years to reach a nearly ice-free Arctic Ocean in summer. Regardless of high uncertainty associated with such an estimate, it does provide a lower bound of the time range for projections of seasonal sea ice cover." You don't have to be a climate "scientist" or a fortune teller to guess what the 2016 version will say. 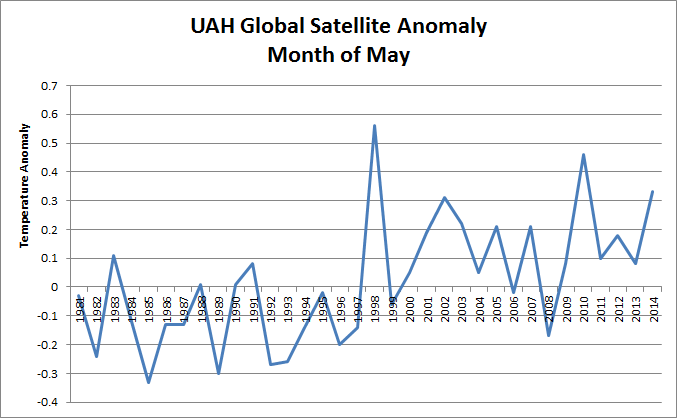 NOAA has made the claim that May and June this year have been the hottest in history ignoring the untampered satellite records of the RSS and UAH datasets which are two of the four major datasets measuring global temperatures. 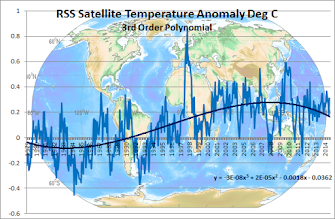 It was also much hotter in the 1930's at the time of the dust-bowl of Steinbeck's Grapes of Wrath although the Winston Smiths of NASA have been at work falsifying the past record to erase that fact.The correspondence of the two satellite datasets is very good. 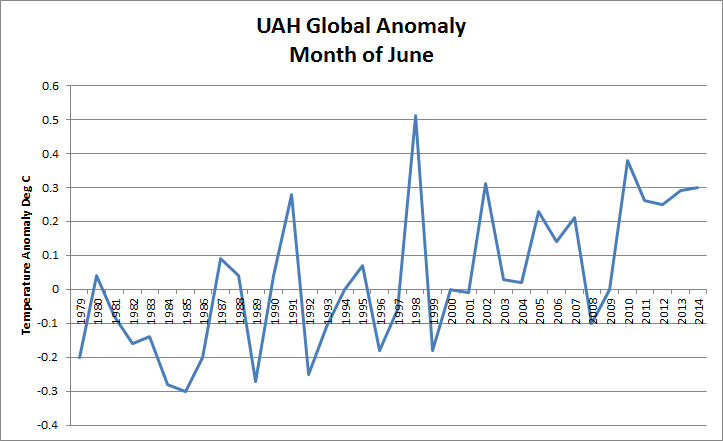 The claims by NOAA are remarkable considering there were icebergs in the the Great Lakes in June and the Arctic has been below normal temperature for months. From WUWT and Energy Matters we have this graph from the BP Statistical Review of World Energy putting into perspective how much solar , wind, and biomass have contributed to world energy contrary to green fantasies. With more than 200,000 wind generators across the world these ugly ,bird-mincing environment-destroying monsters have negligible effect on global energy production and only serve to enrich the green carpetbaggers promoting them at the expense of electricity consumers. The capital cost so far of these useless machines is around half a trillion dollars. In the US wind farms have permits to kill golden eagles and other raptors , all in the name of green ideology. Factum est is what Christopher Pyne tweeted to Tony Abbott as Australia's parliament voted to end the iniquitous carbon tax that over 5 years had cost the careers of 3 Prime Ministers, Howard, Rudd and Gillard and one Opposition Leader - Malcolm Turnbull. Australia leads the world in rolling back the Global Warming hysteria gripping the globe and more will follow Tony Abbott's lead. AT 11.14am yesterday, Tony Abbott was delivered a victory in the Senate after five years of hard political campaigning and two election mandates to repeal the carbon tax. At 2pm yesterday, the political momentum began to shift in the House of Representatives. The Prime Minister was able to point to the fulfilment of one of his biggest promises and at the same time start to deflect the pressure of an obstructed and unpopular budget back on to Bill Shorten and Labor. The Opposition Leader’s earlier ongoing commitment to a carbon price and Greens leader Christine Milne’s vow to seek an even more rigorous system of carbon pricing has already aligned Labor and the Greens on carbon pricing in opposition as they were in government. With his budget and political standing under pressure, Abbott dearly needed a clear victory to demonstrate his authority and deflate the impression of a chaotic parliament. Now he has it. Although any substantial climate change policy is in abeyance Abbott can now reassure households about lower prices for electricity and gas. When the smelly carcass of the carbon tax should have been buried given the political price paid by it's proponents Labor leader Bill Shorten picked it up and hung it around his neck proclaiming that it would be re-introduced by Labor as an ETS. The Coalition , reeling in the polls could not hope for a better gift. It is interesting to keep an eye on the UK wind generation given the billions and billions of dollars spent on the industry to replace coal power . 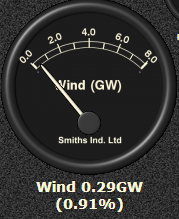 At this moment in the UK wind generation is virtually non-existent and if all the coal stations were closed down as Warmists are planning ,the lights would be out in the Mother Country. Green ideologues would have achieved something that the Spanish Armada.Napoleon or Hitler could not do - bring the British to their knees. This blessed plot, this earth, this realm, this England would be just another victim of a crackpot theory. Beautiful Scarborough on Moreton Bay not in danger. 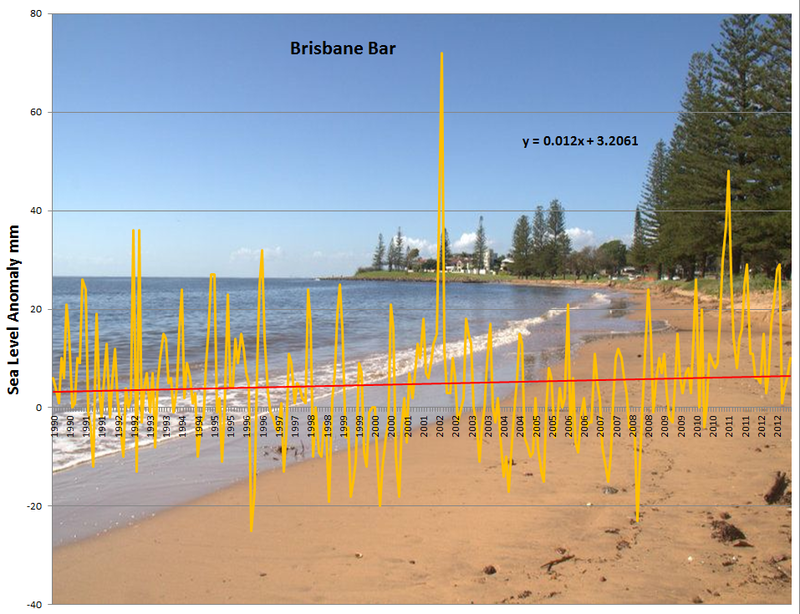 The data from the BOM tide gauge at the Brisbane Bar shows almost no change in mean sea level over the last twenty years . 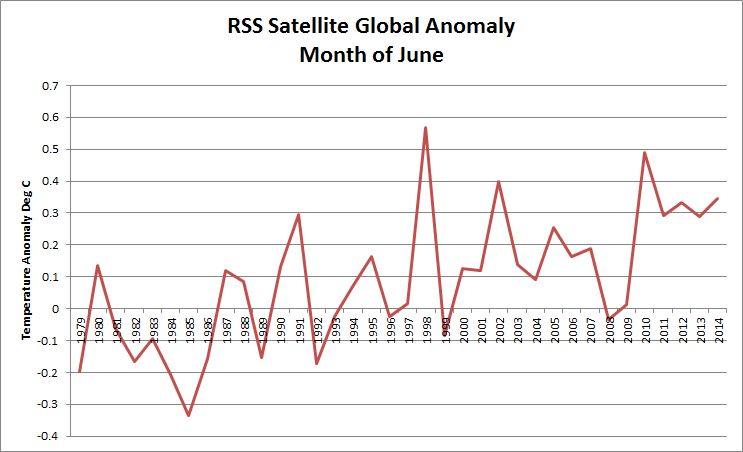 This is not surprising as the global temperature has not changed over that period. 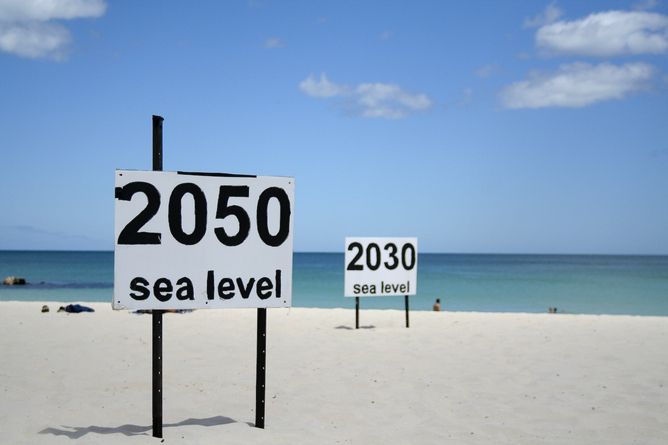 In complete denial of real world data alarmist propaganda from the Australian Department of Environment is still claiming projected increases of between .5 and 1.1 metres by the year 2100 and shows pretty graphics of doomsday scenarios. I guess if they are right I will be able to fish off my patio in Scarborough but I wont be holding my breath. Brisbane has recorded its coldest morning in 103 years, with low temperatures also being felt across the rest of Queensland. The weather bureau says the state's capital dropped to 2.6 degrees Celsius just before 7:00am (AEST) on Saturday. Bureau spokeswoman Michelle Berry said it has been exceptionally cold and temperatures are still dropping. "[It's been] the coldest morning since 1911, so it's quite a record there," she said. 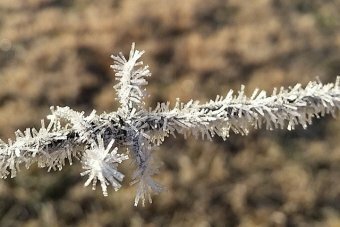 Clermont in central Queensland had record-low temperatures on Friday, but broke records again on Saturday morning with the temperature dropping down to -4.5C. Blackall recorded lows of -2.0C, Roma saw temperatures of -6.6C, and Oakey was down to -6.1C. Further south in the state, Kingaroy reached -5.7C, Dalby dropped to -5.0C, Applethorpe was -5.4C, and Warwick recorded -5.9C. 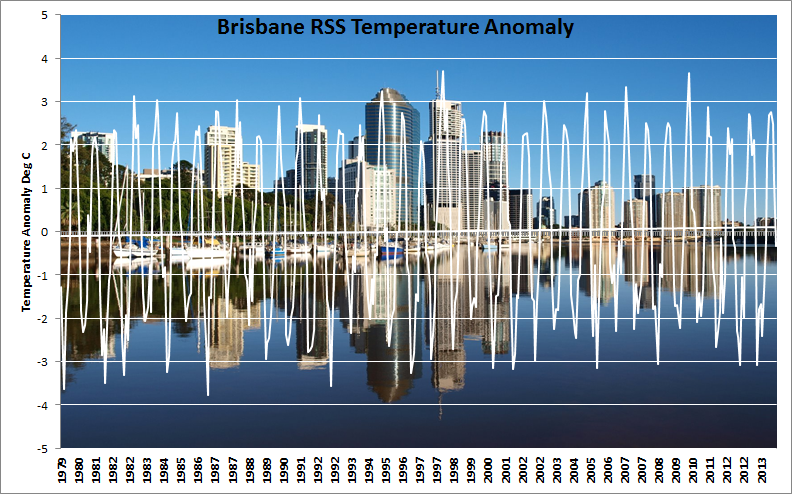 Sydney and Melbourne tide gauges show downward trend! The taxpayer funded left wing rag The Conversation ran this picture with a story raising the question of future court-cases against those who failed to act to prevent "climate change" citing climate-related coastal flooding caused by rising tides. Horrified, as I live on the coast I thought I would check the BOM tide gauges at Sydney's Botany Bay and Melbourne's Port Lonsdale to see how the alarmist predictions were faring at Australia's two largest cities. 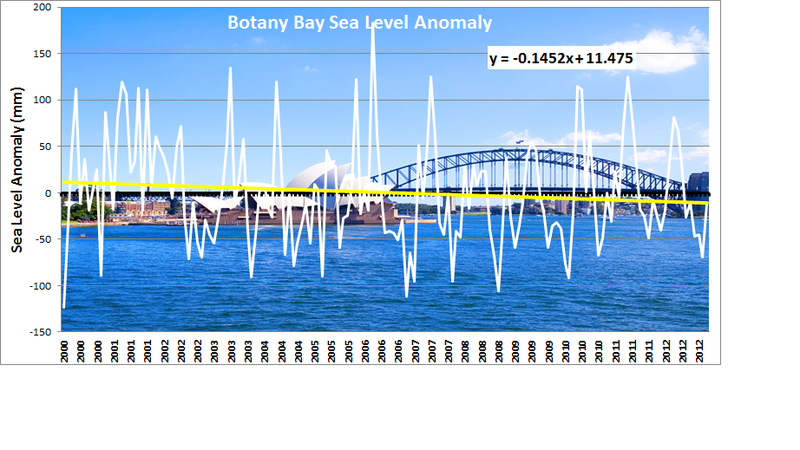 Botany Bay had a broken record so I used the last 12 years with a contiguous set of readings and found the mean tide levels had actually fallen over the period . This is good news for Tim Flannery who has a waterfront home in the area. 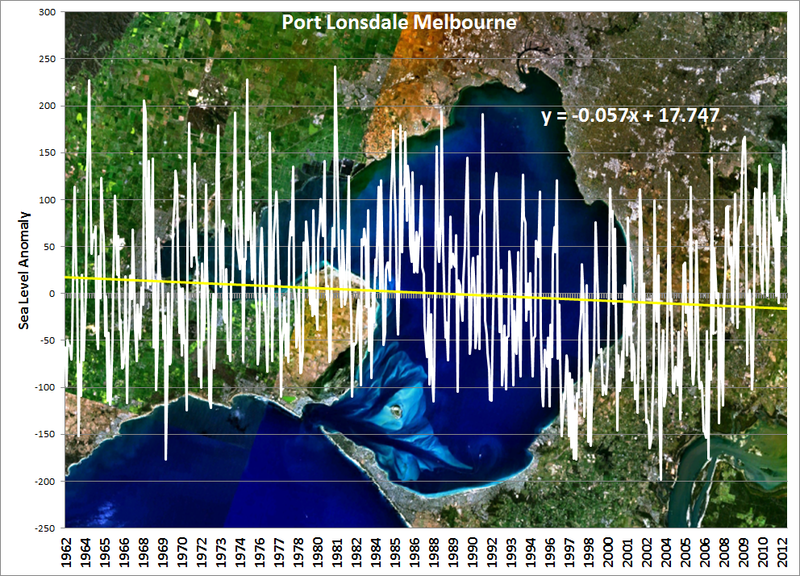 Checking Melbourne's Port Lonsdale surprisingly a similar result emerged over a 50 years time period with the tide gauge recording a drop in mean sea level. 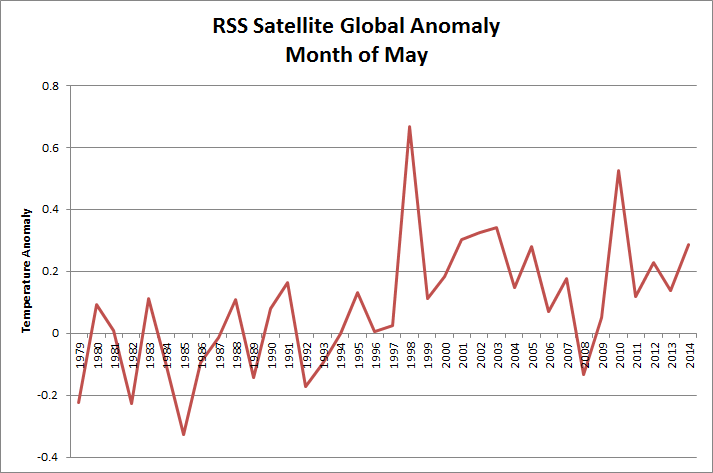 As usual we find that the climate catastrophe predicted is not happening when we revert to real-world measurements. 97% of Climate "Scientists" afraid for their jobs! 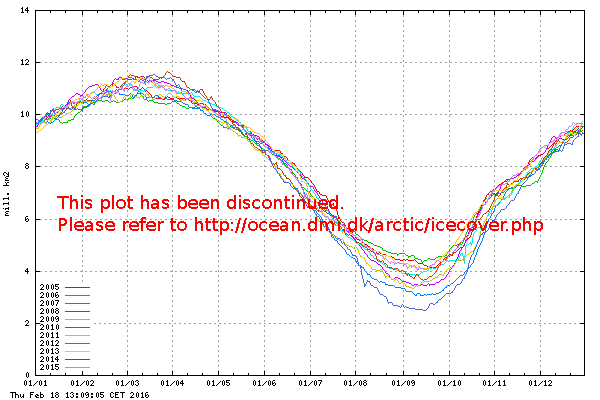 The bad news is piling up for the slavish followers of climate pseudo-science predicting climate armageddon. 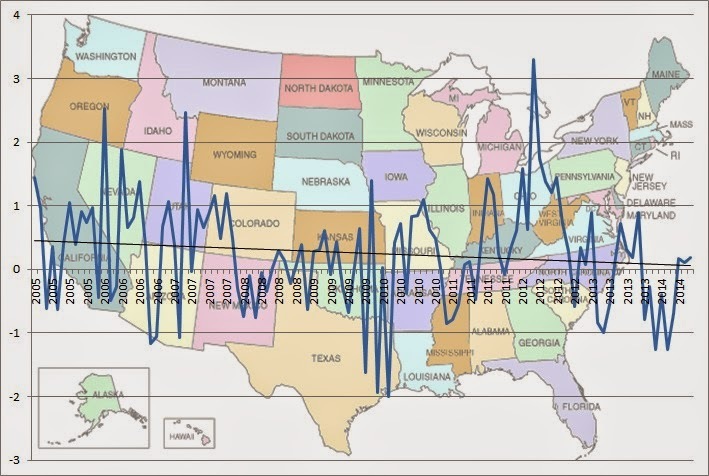 Not only has warming stopped but more than a decade of cooling has set in destroying the much-touted climate models on which Climate Lysenkoism is based. But the alarmist situation gets worse when we consider that sea ice touted as the global warming "canary" has recovered and globally is at near record levels about 1 million Sq Km above average. The sad fact is that all the gullible youth studying AGW-based "climate science" as a career will find their employment prospects extremely limited in the future as the world cools further.